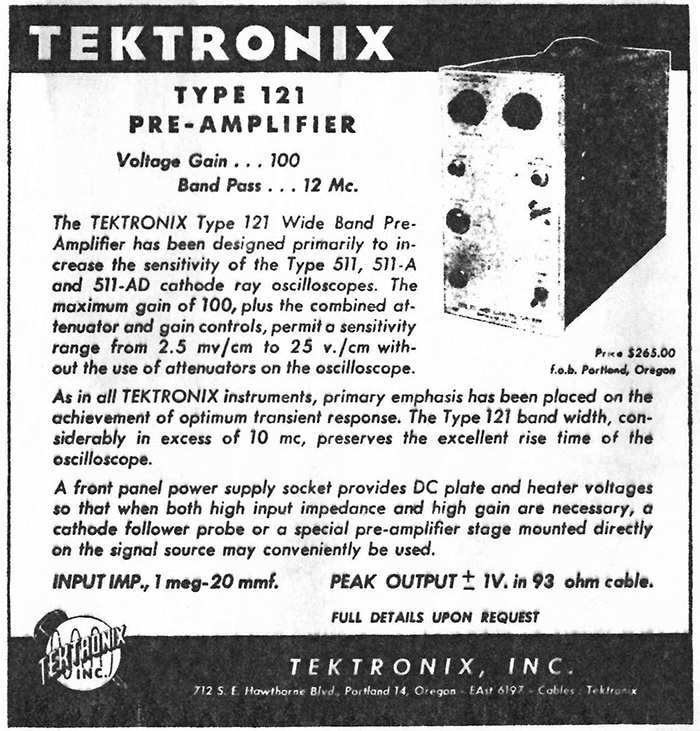 This ad for the 121 Preamplifier appeared in the January 1950 issue of Proceedings of the IRE. 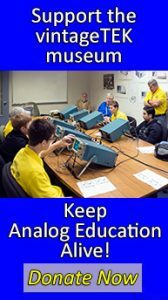 This ad for the 512 and appeared in the February 1950 issue of Proceedings of the IRE. 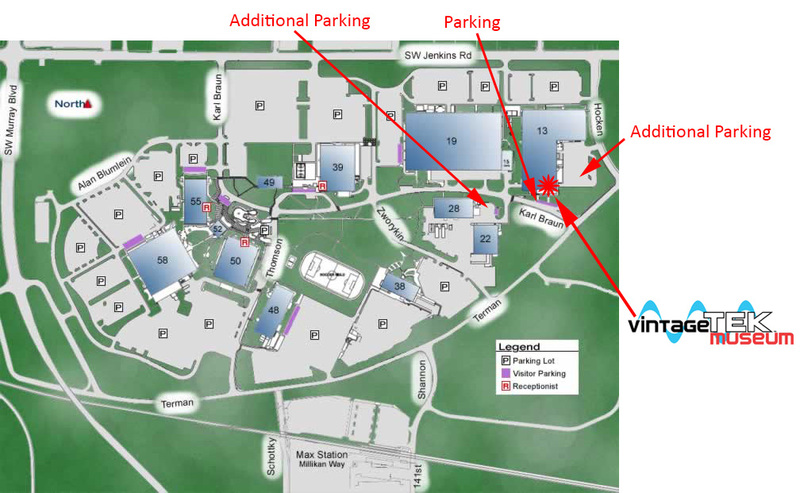 Although it has deteriorated, the placement of black text over dark background minimized readability. 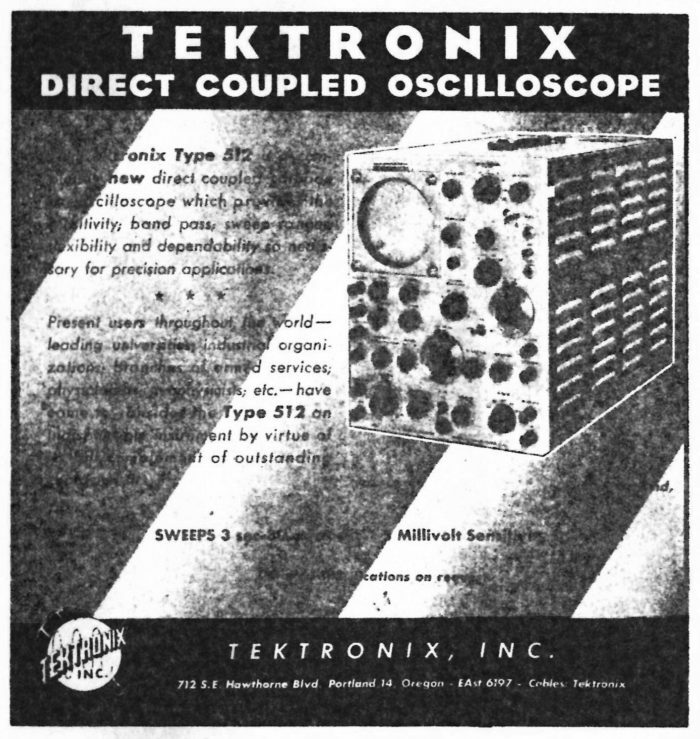 This ad for the 512 appeared in the March 1950 issue of Proceedings of the IRE. 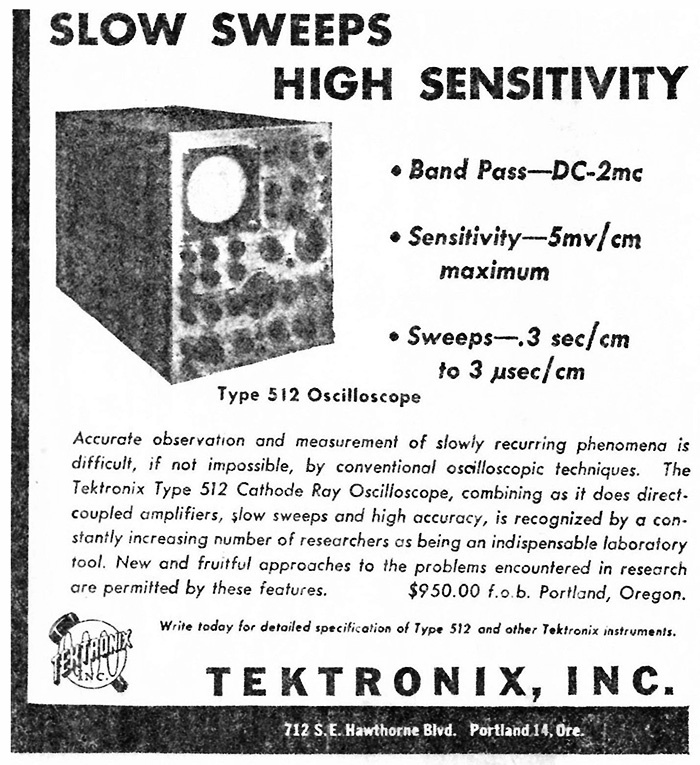 This ad for the 512 appeared in the April and May 1950 issues of Proceedings of the IRE. 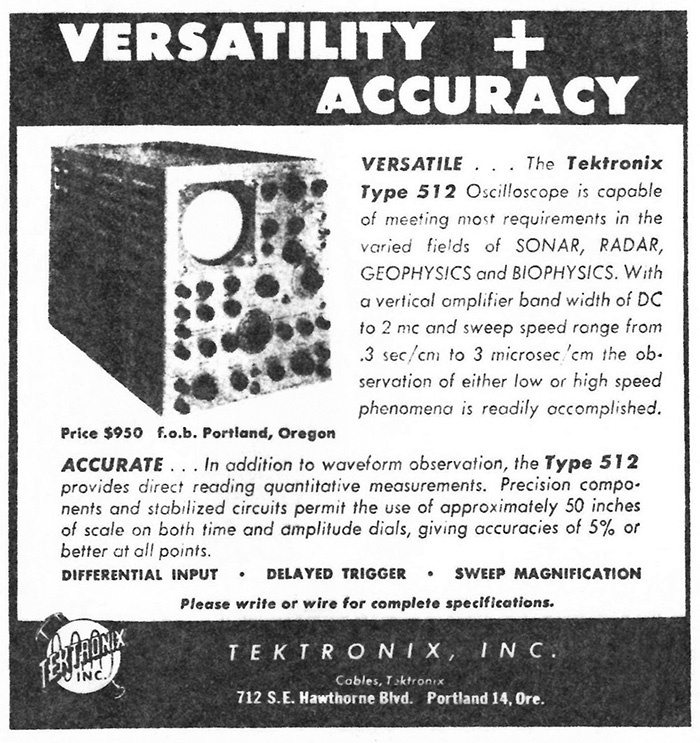 This ad for the 104A and 105 Square Wave Generators appeared in the September 1950 issue of Proceedings of the IRE. 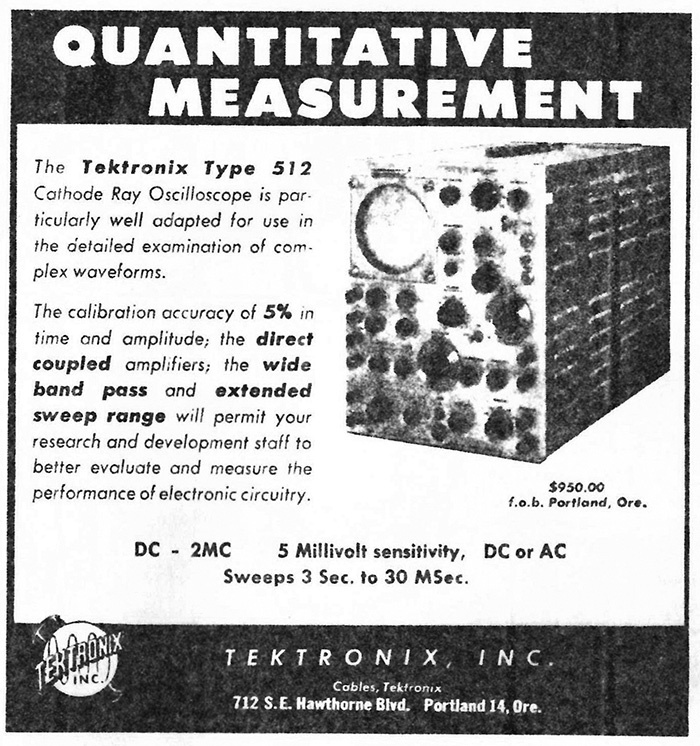 This ad for the 512 appeared in the November 1950 and January and May 1952 issues of Proceedings of the IRE.